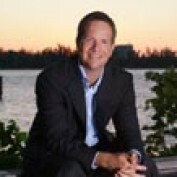 I am a Sarasota real estate agent specializing in golf communities, waterfront properties, homes and condos. My brokerage serves the entire Sarasota, FL area including Casey Key, Siesta Key, Longboat Key, Lakewood Ranch and Lido Key. Our team of expert agents specialize in buyer representation. Allen Real Estate Services, Inc. is a 30 year boutique Sarasota Florida real estate firm specializing in fine residential properties. Our team of expierienced Realtors cover the entire Sarasota, Florida real estate market including condos, townhouses and homes.